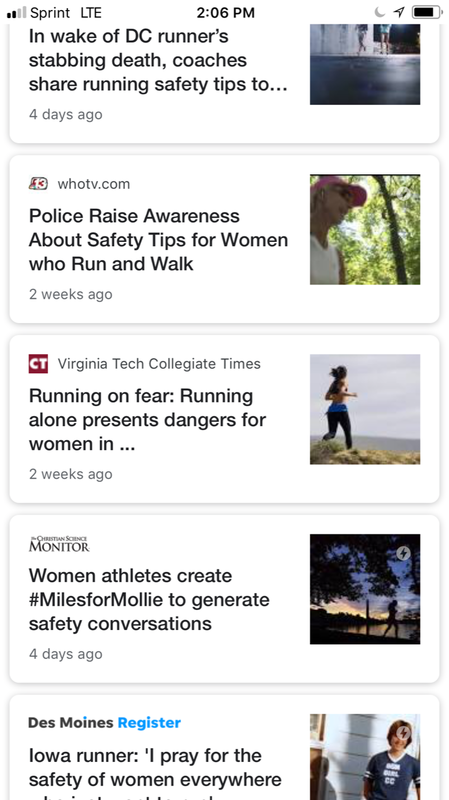 Recent attacks on female athletes have really got me thinking about my personal safety while I run. These attacks have scared me. But more than anything, these attacks have made me angry. Sadly, harassment from men while running isn’t anything new to me, or likely any female runner for that matter. Cat-calls from construction workers as I run through an area of forest, often in the middle of nowhere, being developed for housing. The fast blurs of hormone-raging teenage boys who roll down their truck windows, honk their horn, slow their speed, and holler unwanted whistles and misogynistic comments as they pass me by. The men who stare fixated on me, blatantly gazing out from the windows of their cars as we wait for a stoplight to turn color, making me uncomfortable as hell. I cannot wrap my mind around how any person would think another person would want to be objectified in such a demeaning way. I wish I could say that running while female is the same as running while male, but it just isn’t. It isn’t fair that I have to constantly scan my surroundings, worry about being too tired to fight off an attacker if I go on a long run, or have to endure harassment from men just because I want to go out and do something that I love to do. I am not trying to make men out to be unruly creatures with no self-control, because most men are not, but I am telling you that this IS an issue. This is an issue that not only women need to be more diligent of, as unfair as it is, but one that men need to take ownership of as well. All men need to step it up, not just the machismos. I have talked to male runners who although they understand that this is a real situation, also don’t really get it. 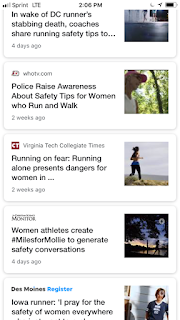 They aren’t able to comprehend the gravity of the level of fear that simply just passing a man while running creates in most women. But then again, why should they? They are men. If a woman cat-calls a man while running, it probably feels like a complement and not a potential threat to his personal safety. I am not kidding about the level of clear and present fear I experience every time I run outside. 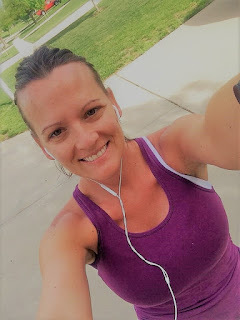 Every single time I pass a male stranger while running, whether that be a man carrying an armful of groceries or a fellow male runner, I immediately tense up. My chest gets a little tighter. Some men make me more scared than others, be it their personal appearance, the time of day, or the area I am running through, but I ALWAYS feel some level of fear. Just this morning a random car, all alone on the road, slowed down and honked at me, who was all alone on the sidewalk. Seriously, this happened today and yes, it frightened me. Is it justified that I am stereotyping every man I see when I run? Probably not. Is it necessary? Absolutely. Male runners do not feel this exact fear. They just don’t. It is a unique fear that any woman will tell you exists. So what can we all do about this? Women. Girl there are countless articles and opinion pieces floating around the internet on this subject right now! Get online and read about being safe! Buy pepper spray, use small handheld weapons (or even just your car keys pointed outward), keep your phone charged and make sure your FindMyPhone App is on and ready. Turn down your earbuds, keep your eyes open, look strangers in the eye when you pass them, and run only during busy, lit times. The list goes on and on but don’t just ignore this issue. Don’t shrug it off. Don’t be ignorant. Don't be polite. Don’t be weak. Be strong, be brave and be aware. Men. Keep your eyes open. Watch out for female runners and give them space, as well as direct, nonthreatening eye contact. If you see a sketchy situation unfolding, stop, ask questions, and help if needed. It isn’t your job to do this because you are male, it is your job to do this because you are a human being. If you are one of those men who yell unsolicited cat-calls, honk their car horns , or stare too long, STOP. STOP making others around you uncomfortable. Just shut up and keep your thoughts to yourself. I want you to always remember something. A real person who doesn’t deserve to be harassed, teased, stalked, threatened, or to have fear for my life thrown at me simply because I want to live a healthy lifestyle. I am a mom. I am a sister. I am a daughter, a teacher, a friend, a person. As always, happy running folks. Let’s work harder to keep it that way.